La cinquième journée internationale de célébration des plantes, intitulée “Fascination of Plants Day” 2019 (FoPD 2019), va être lancée par des scientifiques du monde entier sous l’égide de l’Organisation Européenne pour la Science Végétale (European Plant Science Organisation, EPSO). Everybody is welcome to join this initiative! Le but de cette manifestation est de faire en sorte que le plus grand nombre de personnes autour du globe soient fascinées par les plantes et conscientes de l’importance des sciences végétales pour l’agriculture et la production durable de nourriture, ainsi que pour l’horticulture, la foresterie et des productions non alimentaires à base de plantes, telles que le papier, le bois de construction, l’énergie et des molécules utiles à l’industrie chimique et pharmaceutique. Le rôle des plantes dans la conservation de l’environnement est également un message clé. Riverwood is located in the Carolinian Life Zone in southwestern Ontario, the northernmost part of Canada’s Eastern Deciduous forest. This zone is of particular interest as it hosts numerous native plant species found nowhere else in the country. Many of these species are endangered due to loss of habitat or years of over-harvesting from the wild. The walk and talk includes native plant identification, discussions on their importance for biodiversity, need for environmental conservation, and natural history. The participants are encouraged to share their plant related stories or conservation effort in their own neighbourhoods and gardens. After the walk, the participants are invited to visit the native plant sale organized by the North American Native Plant Society (NANPS) in partnership with The Riverwood Conservancy (TRC), and TRC’s Native Plant Propagation (NP3) educational booth, to learn more about how they could get involved in native plant conservation efforts. The guided tour is offered by Nina Katalin Barabas PhD, plant biologist, herbalist and co-author of “Wildflowers of Riverwood: Field guide to wildflowers of Mississauga’s urban oasis and the Greater Toronto Area” and Elisa Sessa, Environmental Studies graduate at the University of Toronto Mississauga, Stewardship Committee member and Conservation Leader at The Riverwood Conservancy. What is your favourite weed and why? The CWSS-SCM is a non-profit professional society for scientists, agronomists, economists, and students interested in weed sciences. 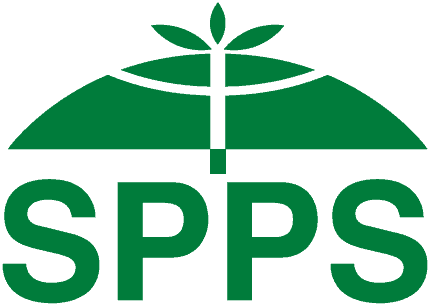 The society is widely recognized in Canada and beyond for its national leadership in bringing together research and information on science and management related to plants potentially impacting the environment, economy and society. The three major goals of the CWSS are to: (1) be the Canadian scientific authority representing professionals working in weed science, 2) expand the CWSS-SCM network of members and partners, 3) ensure good governance. In celebration of Fascination of Plants Day, we asked a few members of our Board of Directors what their favorite weed is and why and thought we’d share some of their responses. And of course, we’d be remiss not to mention Canada thistle (Cirsium arvense), the flower of which is one-half of our society logo. Canada thistle was introduced to Canada from Europe and has since become ubiquitous in Canada as it spread west. A perennial plant that is tough to control once it is established, it takes a concerted integrated pest management strategy to control (and live with). A plant event for kids will take place on May 18th for Fascination of Plants Day at Wellington Woods Community Center in Guelph Ontario. The address is University of Guelph Family Housing complex, 252 Stone Road West. The event is from 1-2 pm but may not go for the full hour. This event is exclusively for kids living in Wellington Woods. Kids of all ages are welcome. This event will be advertised in the monthly newsletter for Wellington Woods community in May. The event will start with going over basics about plant parts and plant growth. How plants acquire nutrients and water and use sunlight to make energy will be explained. The chia pet activity will be explained including how to properly care for the chia pet i.e. placing the pot near a window and regularly watering it, etc. When the grass is long they can trim it with scissors to give their chia pets a cool hairstyle. Next, kids will decorate clear plastic cups. They can glue stickers or googly to make a face. Once the cups are decorated, they fill be filled with potting soil. Containers with soil will be placed on the tables the kids are working out, and they can use spoons to fill their pots with soil. Next, each kid will be given seeds. They can sprinkle seeds on top of the soil. Kids will use spray bottles to water their pots. Kids will be provided will journal pages where they can record their observations and track the development of seeds. By using clear cups, they should be able to observe root growth in addition to shoot growth. What is your favorite weed and why? McGill University’s Plant Science Department is Fascinated with Plants! The Barbados Interdisciplinary Tropical Studies Program (BITS) is one of several McGill field study programs. The BITS program takes place during the summer in Barbados (Application for Summer 2018). Since inception (summer 2009) more than 150 students from McGill and the University of the West Indies (UWI) have participated in BITS courses and summer research projects. For those of you who are fascinated with plants, Barbados is an outstanding place to study or to visit. Below you see the majestic flamboyant tree (Delonix regia) which is a spectacle to behold while in flower at the Brighton Farmers Market; Bougainvillea glabra come in a wide range of beautiful colours, this peach one is stunning; Mussaenda erythrophylla ‘Ashanti Blood’ is found in Flower Forest and can be confused with poinsettia; Anthurium spp. are many and varied, this is a small, very delicate purple one. Barbados has some of the most beautiful gardens, nurseries, and golf courses in the world. BITS students are taken to many of these. We visit Andromeda Gardens, Flower Forest, Hunte’s Garden, Welchman Hall Gulley, and Durants Golf Course. There are many other sites with lovely trees and gardens, including the grounds of our bilateral partners (UWI and the National Conservation Commission) and lovely parks, including Queen Elizabeth Park, home to one of the largest trees on the island, an amazing baobab tree (Adansonia digitata). BITS students get a taste of studying and doing research in the tropics, develop close friendships and networking contacts for the future, learn leadership, and many technical skills. The projects are many and varied – some are on plants but others have been on invasive species, animal rearing, agribusiness, agritourism, aquaponics, Sargassum, lion fish, solar collectors, and others too numerous to mention. Participants report being inspired and motivated towards future research pursuits. Many go on to study at the graduate level and most intend to work internationally in the future. Internship projects for both mobile and non-mobile students are available in Barbados all year ‘round. More will be added to this list as they come available. For questions on the BITS program please contact McGill Advisor [email protected] or BITS Director Danielle. [email protected]. Associate Professor, Plant Science Dept.